It’s kind of a question of faith – Lionel Messi or Cristiano Ronaldo? Which of the two superstars is he the greatest and best footballer of today? There are certainly enough arguments for both exceptions. Last but not least, they have each been voted FIFA World Player of the Year five times. Also in this year’s Champions League season they showed again their great talent and also the importance for their team. Ronaldo shot Juventus into the quarter-finals after beating Atletico Madrid 2-0 in the second leg. There he was again successful in the first leg at Ajax Amsterdam and scored the important away goal at 1-1. Messi was also the man of the match against Olympique Lyon and thus made the entry into the top 8 of Europe FC Barcelona. There, the Catalans want to finally defeat their quarter-final curse of recent years. After the 1-0 at Old Trafford at Manchester United it looks very good before the decisive duel on Tuesday at Camp Nou. FC Barcelona are playing an exceptional season under Ernesto Valverde. At first glance, the Catalans are not as brilliant as they have been in recent years and are providing one spectacle after another, but the results are just right for the coach. The national double is within reach. In the league, space 1 is practically secured in the cup is only the final on. In the semifinals Barcelona celebrated a glorious victory against arch-rivals Real Madrid. The cherry on the cream pie would be the winning of the Champions League, where you could also replace Real as the title holder. The conditions to make the penultimate step on the Tuesday evening on the way to the final of Madrid are outstanding. The 1-0 in the first leg was the perfect result at Old Trafford. An early own goal from Shaw, which for the most part actually belongs to Luis Suarez, who processed a perfect Messi flank, was enough for the guests. The Spaniards then focused on defending and did not miss a single shot from the Red Devils on Marc Andre ter Stegen’s goal in 90 minutes. Concentrated should not burn much at home in the second leg. Valverde could also afford the luxury of saving some of his stars in La Liga this weekend in the league. A Messi or Suarez will therefore be in top form and, above all, provide a proactive take on the vortex. The individual quality in the attack is incredibly high and probably the third leader is Philippe Coutinho. This triad is hard to stop and it will be exciting to see how the guests manage to provide an offensive accent without revealing too many loopholes to the dribble artists behind. 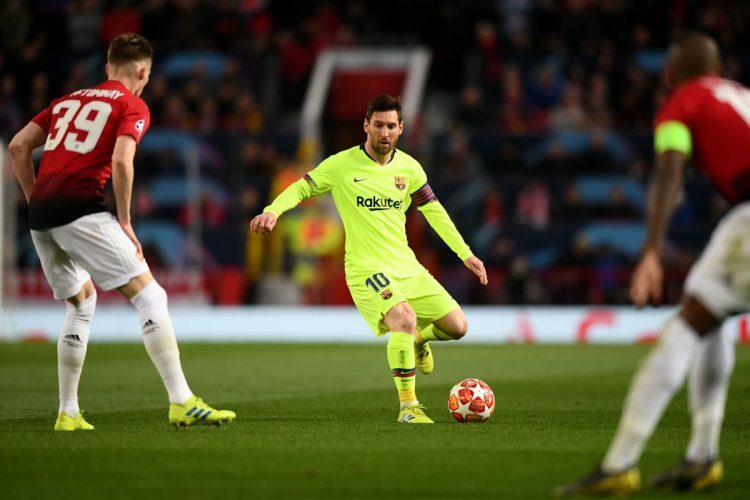 This tightrope act can hardly go well, which is why it is hardly surprising that between Barcelona and Manchester United a tip is more likely towards the home side most likely. Actually, Manchester United is already with one leg in the semifinals. If you shoot a 0-2 at home against Paris St. Germain at Prinzenpark, then you should not be a 1-0 defeat to Barcelona. But joking aside, such a feat, so far unique in the history of European football, rarely succeeds twice in a row. Of course, the British would have wanted a different result, but offensive simply ran out too little together. As mentioned earlier, Manchester United failed to score a single goal on the Catalan side in the 90 minutes before the home crowd. This is simply not enough, considering that Barca’s attackers can not be kept away from their own goal for more than 90 minutes. In the second leg, the team of Ole Gunnar Solskjaer has at least one big advantage – they have nothing left to lose. Since before the kick-off between Barcelona and Manchester United, the odds for a mere tip on the Spaniards are too low, it is necessary to look for alternatives. At the half time / final stand bet you will finally find something. A draw at the break is absolutely conceivable, since both teams will not necessarily take much risk in the offensive game at the beginning. Barca does not have to do it with the 1: 0 in the back, the English also know that an early goal would probably mean the final knockout. Therefore, a sampling in the initial phase and possibly even a zero number after 45 minutes is conceivable. As the season progresses, the Red Devils must then logically increase the risk, which will give them room to counter Messi and Co. It is only a matter of time before one of the attackers hits and finally pulls the plug for the guests.